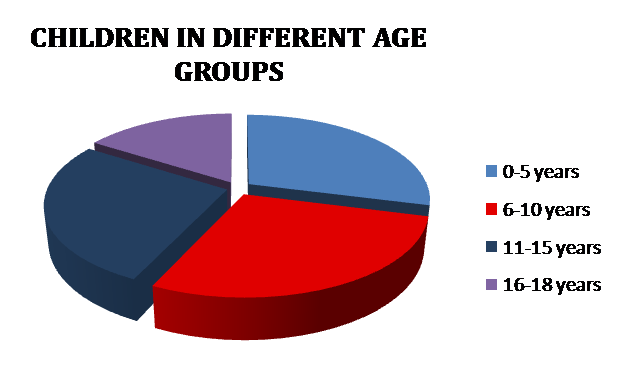 The following data depicts population percentage of children in different age groups. 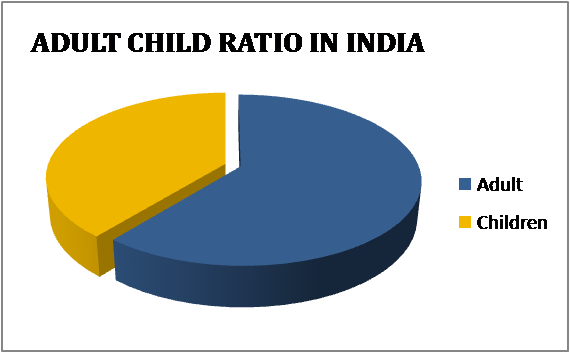 As per Census 2011, the population of children (0-18 years) in India is 472 million. 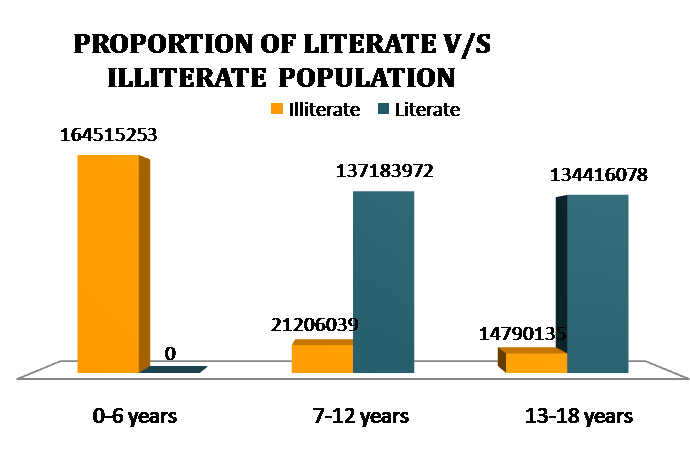 The graph here depicts the population of literate v/s illiterate population for different age groups in India. In India, a literate person is one who can read and write and is of age seven years or more. In the age group of 0-6 years, none of the children population is literate as is inherent in the definition of literacy. As we move up the age groups we see that the illiterate population on an average falls, however a significant population still remains illiterate.